How to win the War. CLICK HERE FOR - Sip of Kosher Caffeine -- best time & place to pray. It’s a battle every day and some times it can become downright nasty. How do we, how can we, deal with it. The problem is, that the good inclination and soul never gives up and is always making the person feel guilty, empty, meaningless, inadequate, unless it gets its way of living for a purpose, higher than mere existence. Sometimes, it’s possible a person can become so totally numb and insensitive to higher values it’s “as if” there is no more care in the direction of the good and noble. The animal soul, never gives up its effort. It strives constantly to get us drawn into the temptations of the eyes and immediate gratification. The animal inside is all about, I and me. A person’s world is in his mind, and if a person is all the time in a G-dly world, in prayer and the study of the bible, if a person has the awareness of G-d constantly on his mind, it is very unlikely for him to have to battle the animal inside. Since he is only feeding the G-dly soul, giving it constant strength, and there are no animals in sight in this world, his battles if any at all, will be infrequent and relatively weak ones. Let’s says the animal and evil temptation inside is saying to eat something improper or to take something not yours. 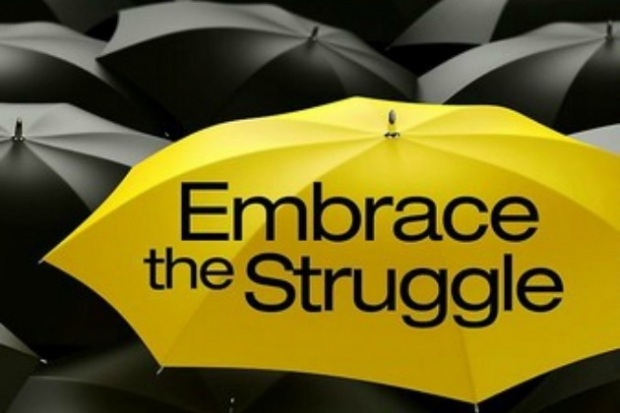 Knowing that you have this weakness inside, you can wait until you are in a full fledged hand to hand struggle with these thoughts and feeling and at this point you stand the chance of losing the war. Or, you can take the preemptive, high ground approach. To begin with, you avoid the situation of war with the negative, with the thought in mind, it is beneath me to be on the level of my enemy. You say to yourself, “I see myself and I consider myself on a higher more refined level of human being than this type of behavior,” you avoid being drawn into a fight. The Bible assures each single one of us. When the proper approach is used against our enemies, and we approach our challenges with absolute faith and trust that G-d always “prepares the cure before the malady”, and “only expects of each according to his and her ability,” nothing in life is too difficult to deal with. With this in mind, we are guaranteed to succeed, and not only win, but also take captives. The enemy themselves becomes a source of support and strength. The difficulty which at first was standing in the way of progressing, becomes an experience and strength that adds and enhances the final victory and outcome. 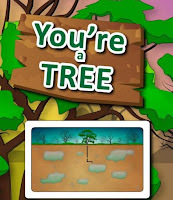 You are, a fruit Tree? Check it out -- Brand NEW Sip of Kosher Caffeine. When the Bible makes a comparison it is not just for illustrative purposes. A comparison made by G-d Himself means every detail in the comparison is exact and precise. The Bible compares people, human beings to fruit trees. What similarity can there be between people and of all things, fruit trees? Well for one thing a tree comprises of roots, the body of the tree, branches, leaves and fruits which contain the seeds for further trees. Could anyone imagine a tree that grows fat and sturdy but only up to the point of where the branches start to grow? The ultimate end result of a tree is the branches and leaves which give shade and benefit others. More important than the branches, are the fruits, which bring enjoyment to others and carry the seeds for other trees to grow. When you follow in the footsteps of G-d by being kind to others, fulfilling your obligations expected from you by G-d, you are making a difference in this world and as a result you are a happier more fulfilled individual. It is not enough one has a child and a half, and two dogs. Our mission is accomplished and true happiness is achieved when we have lots of yummy fruits and children who continue among other things to also have many yummy children. The most important part of a tree is its roots. Roots are hidden in the ground away from any ones notice. 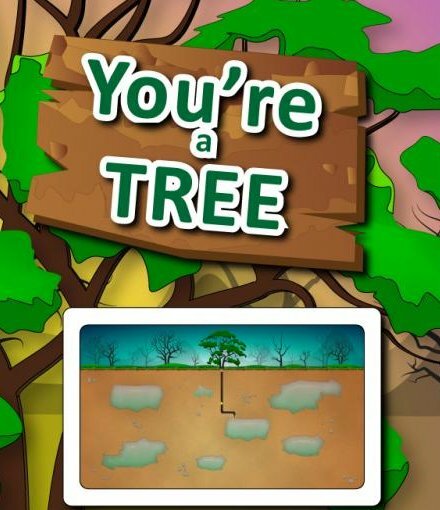 Yet, the roots account for the health and stability of the entire tree. The roots are how we start out every day, and way before the child is noticed, in his mothers’ womb before he even gets out to the world. What environment are we putting the unborn child in? What words and music is the child subject to listening in the mothers’ womb? Do we start the day with our prayers and calibrate ourselves appropriately? After the child is born and we continue to nurture this small sapling what kind of surroundings and atmosphere are we subjecting the child to. Most of a person’s character is molded by the age of 9 years old. It seems like what we do with children is insignificant because after all they are only children. However the entire structure of the tree is determined by its roots. Early in its growth stage and every day, early before he goes out to deal with the world. The kind of water we feed the roots, the faith in G-ds miracles and ever watchful eye, molds the kind of strength and optimism this tree will have when the hurricanes of life blow on it later on. In order to grow straight, tall and strong, all the weeds and negative influences must be weeded from the territory of the child. Not good friends and negative influences are all huge big no no's, if we have any hope the child will grow without weaknesses and blemishes. The book of psalms say if we are lucky we are granted seventy years and if strength is granted we are given eighty years and it goes on. Seventy years, the first milestone, represents the complete spectrum of our emotions and character. The goal of the person himself is to refine his entire character. We are a developing tree, everyday of our lives. The attention we give to ourselves, starting from the roots, is the way we leave the world a more beautiful world than before our tree offered itself to the universe. 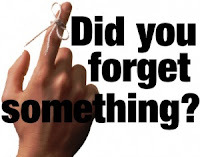 Did You Forget???? Don't be arrogant. Rabbi "Moses of Coucy" as his name suggests, was born or raised in Coucy in Northern France. In 1240 he was one of four rabbis required to defend the Talmud, in a public disputation in Paris. It is likely that the need for a work like his, the codification of Jewish Law which he authored, was driven by the decrees against the Talmud which had been promulgated in France, and had led to the confiscation and burning of all Talmud manuscripts in 1242. The book he authored, “Sefer Mitzvot Gadol (Hebrew for, Large Book of the Commandments; abbreviated "SeMaG”) deals with the 365 negative commandments and the 248 positive commandments, separately discussing each one of them. The SeMaG includes this warning as a negative commandment, not because he was told to in a dream. There is a clear statement. Once the Bible was presented to people here in this world, “we don’t pay any attention to a heavenly voice,” and, “Torah-instructions are not (any more) in the heaven.” The dream prompted him to think once again the importance of this verse, and it was his own rational logical conclusion that brought him to include this, as a negative commandment. Maimonides, one of the pillars of Jewish Law does not include this verse as one of the actual negative transgressions of the Bible. How do we clarify this. The Baal Shem Tov explains the connection between, “Lest you forget…” and as a result, “your heart will be elevated in ego…” by comparing this, to the negative outcome of indulging in even permissible bodily gratification. When a person is pleasure seeking, he strengthens the animalistic tendencies inside himself. As a result, his sensitivities as a human being, and his clarity of thinking, the abode for the higher G-dly senses are greatly compromised. It is because of the extreme severity of this demeanor, Maimonides did not count this as a separate negative commandment. According to Maimonides the prohibition against worshiping idols, includes this terrible act of, forgetting (the influence of) G-d in ones life. The antidote to all the above, is an absolute trust in the promises and assurances of G-d. The acceptance of G-ds goodness and authority in ones life. To realize we are all very finite beings, and to submit ourselves to the awareness of G-d, the higher power. Clik here for newest Sip of Kosher Caffeine - How to change ur Behavior. Another verse. “You shall know today and you shall place it in your heart, that G-d, is G-d in the heavens above and in the earth below, there is none other besides Him.” Knowing is not enough. The Bible is very aware, that what we have up in our heads on its own isn’t enough to influence our behavior. How many of us know it’s bad to eat certain foods and we do it anyway. How many know that smoking, drinking in excess or other examples are detrimental in our lives and we do it anyway. After a person acquires knowledge, it takes a separate effort to push that knowledge down the narrow straights of the neck and have the knowledge reach our heart in order to arouse an emotion, that we should feel, the positive or negative consequence of doing or not doing. This knowledge and awareness must penetrate deep into our hearts, so that our will and desires, together with our emotions will be in line and attuned with this awareness. This doesn’t come easy and takes great effort. The distance between knowing and impacting our hearts, is as far as the distance between knowing and not knowing. The difference, is between those who say they believe, and those who say, they “really” believe to the point that they feel, they have a personal relationship. The verse is saying, “And you shall know, today”. Every word is deliberate in G-ds book the Bible. There is not even one letter redundant and unnecessary. The Bible is saying, from the “today” – the occurrences and happenings of the day, a person can see the providence of G-d everywhere and in everything, when he observes and notices all the “coincidences” and unexpected “miracles.” When a person trains his mind to see Divine Providence in everything, the facade of nature and predictability becomes almost like an interesting joke, and is uncovered. The most basic is to believe that there is one G-d. He exists, and there is no other besides him. A higher and deeper level in this faith, is that there is no other authority or power in the world outside of this G-d. Not the employer, or the government, or money etc. G-d. The world and the universe is an expression of His existence hiding under the trick that G-d made for the sake of giving us free choice, we call, “the laws of Nature.” G-d is the existence and reality of everything. The only being. In a very subtle way when a person gives power to anybody or anything in the world, as if it can affect his life and interfere in his relationship with G-d this is a form of denying G-ds oneness and unity in the world. It is a form of idol worshiping by attributing some degree of power to anything outside of the invisible omniscient and omnipresent G-d.